Seattle is so much more than high rises downtown and Pike's Place Market. It is an incredibly diverse city that is made up of dozens of neighborhoods - each with their own personality. Ballard is located in northwestern Seattle and is bordered on the west by Puget Sound and Shilshole Bay and to the south by the Ship Canal and Ballard Locks. Ballard is known for its Scandinavian heritage (early Scandanavian fishermen were attracted to the abundant salmon in the area) and is home to the Nordic Heritage Museum. Downtown Ballard has a number of historic buildings, shops, and restaurants. These days, Ballard is one of the most in-demand areas of Seattle. The neighborhood of Beacon Hill is bordered to the north by I-90 and to the west by I-5. Some very famous photos of downtown Seattle, Century Link Field, Safeco Field, and Elliott Bay in the distance are taken from Beacon Hill. The Pacific Medical Center sits atop Beacon Hill and is a local landmark. Maple Wood Playfield sits above I-5 and includes two baseball diamonds. Georgetown is sandwiched between I-5 and the Duwamish Waterway south of Seattle just south of the West Seattle Bridge, the Industrial District of Seattle, and the railroad mainlines. It is the oldest neighborhood in Seattle and despite it being a transportation hub, there are residences nestled in. Easy access to Boeing and the Museum of Flight are just two reasons to take a closer look at Georgetown. Burien, Wash., a relatively affordable suburb just south of Seattle and west of Seattle-Tacoma International Airport (without the noise, thanks to science). This charming community is complete with breathtaking access to Puget Sound, snow-capped Mount Rainier and the wooded trails of Seahurst Park. Burien now has a downtown in the midst of a serious upswing, thanks in part to several outposts of popular Seattle originals. 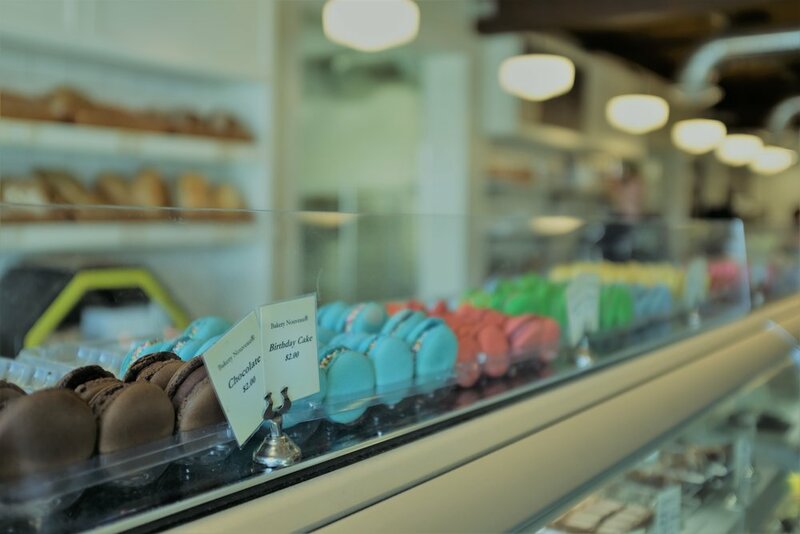 Here you will find a world famous french bakery called Bakery Nouveau, wine bars, small taprooms, and plenty of water view properties. Columbia City is a historic district located south of I-90 and east of I-5. Rainier Avenue South and Martin Luther King Way are traffic thoroughfares with retail options through the area. These streets also boast Light Rail and mass transit options. You can’t miss Cheasty Boulevard or the Genesee Playfields! Or if you are in the mood for a show, check out the Columbia City Theater! The Leschi and Judkins Park is located just East of the Stadiums in Downtown Seattle. The area is just south of the Central District and north of I-90, and ends right at the shore of Lake Washington. It’s a wonderful location as it is walking distance to the city, totally connected to speedy public transportation, and riddled with parks and culture. Close by is the African American Heritage Museum, Amy Yee Tennis Center, and the Seattle Girls School. We are finding that those working on the Eastside, like Bellevue and Redmond are able to live the Seattle city life and zip on over the bridge for work. It’s the best of both worlds! Des Moines hugs the east shore of Puget Sound and includes recreational venues such as Saltwater State Park (the most-used state park on Puget Sound!) and a very popular marina complete with boat launch and fishing facilities. There are a number of notable landmarks such as the Des Moines Beach Park and Des Moines Field House and Activity Center. Downtown Seattle has changed a lot in recent years. One only has to note the number of cranes busily building new residences and office spaces to realize that the Downtown Seattle skyline is changing. Downtown Seattle includes the Central Business District, Pike Place Market, the Seattle Center (including the Space Needle), Olympic Sculpture Park, Seattle Library, Benaroya Hall, the Seattle Art Museum, and some of the tallest buildings on the West Coast. If you are looking for a hub of activity, walkability galore, restaurants, shops, and easy access to transportation, Downtown Seattle has you covered. Condos, many with views of Elliott Bay, the Olympic Mountains, or Mount Rainier are prevalent in this bustling area of Seattle. Normandy Park is just next to the larger city of Burien, both of which are south of West Seattle. Burien is still known to long-time residents as “Sunnydale” and the broader area is known as “Highline”. This area may be looked over by some, but its proximity to the Puget Sound, views of Vashon Island, amazing waterfront wildlife, Three Tree Point as well as advances in transportation options make Burien and Normandy Park an area with potential for homebuyers. Federal Way is full of beautiful parks and schools that are perfect for exploring and getting some exercise. 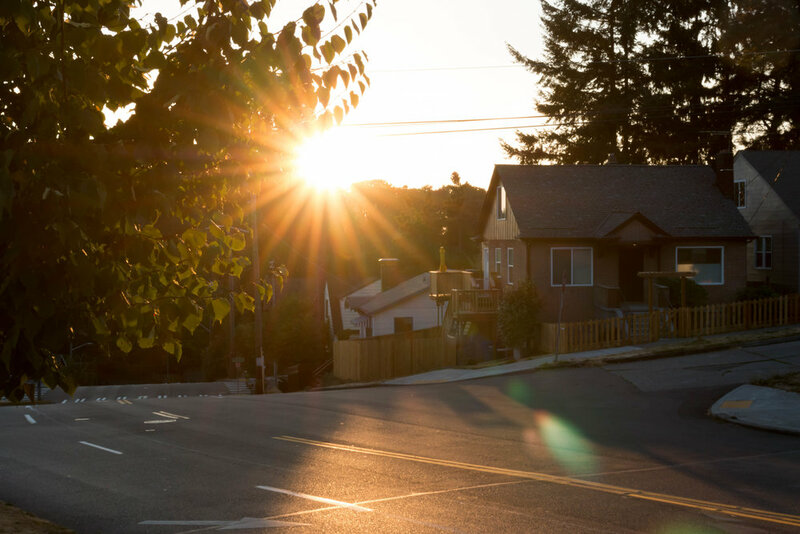 It’s a neighborhood that is just North of Tacoma and is the south border to King County. Here you will see mature landscaping, beaches, parks, and a mixture of Mid-Century homes and Contemporary homes. About a 30 minutes from Seattle and 20 from Tacoma, you get the best of all worlds here. Federal Way is constantly growing and evolving. There are great movie theaters and numerous tasty restaurants to satisfy any cravings, not to mention a good sized shopping center and several retail stores. When the skies are clear, you can see Mt. Rainier among the many trees. Seatac may be known for the airport, but it is really an area bursting with potential. International Blvd plays host to hundreds of thousands of travelers each and every year, some of whom wind up calling the Pacific Northwest home. There are almost 80 Fortune 1000 companies that call Seatac home. With proximity to both Seattle and Tacoma, aided by Light Rail, this is a great community for commuters. With parks like Angle Lake Park, Grandview Park, and North SeaTac Park complete with SeaTac Community Center, rest assured that this is an area that values recreation. West Seattle is separated from Seattle by the Duwamish River. In this bustling area which has seen a lot of change over the last few years you might find yourself strolling along Elliott Bay on your way to Salty’s or enjoying the views at Alki Beach Park or Lincoln Park, enjoying views of the Seattle skyline. Be sure to visit The Junction, the heart of West Seattle, where you can find a number of shops and businesses that are sure to please. This neighborhood, often taking its nickname “Rat City” literally, is a flavorful community that is on the cusp of major change. It’s a place of surprises, where the eccentric can fly their true colors, and where, a few blocks from an industrial cluster, you still can find a beautiful parks complete with a frisbee golf course, ponds, and streams. It’s also a place with a long history as a cohesive community, despite language and cultural differences. Here you will find evidence of this in its vast array of restaurants and shops. Stop into the Salvadorian Bakery for delicious Dulce de Leche and head to Bok Bok for Kimchi Mac ‘n Cheese. Don’t forget to get your brew with your kids and pooch in tow at Beer Star, a large beer hall for everyone to enjoy. Here, housing is affordable and living here is decidedly “cool”.